Except for feathers, fur, color, size, beak, teeth — well, almost everything important — there ARE similarities between these two very disparate critters. Mythology: Native cultures tell stories and sing songs about Raven the Trickster AND Coyote the Trickster. They have both been powerful symbols and the popular subjects of folklore. Maybe these two creatures are more similar than we realize! Adaptable: Both ravens and coyotes are very intelligent and adaptable, able to survive cold winters and desert summers. Ravens have the edge over coyotes, living as far north as the Arctic, whereas coyotes only inhabit as far north as eastern Alaska. Both live only in the northern hemisphere. Both species live in the wild AND in suburban areas of large cities. Both are adapting to the presence of humans. Variety of vocalizations: Both of these animals have a variety of vocalizations. Ravens have over 30 different calls: calls of threats, warning, teasing, cheering, screaming. Coyotes are quiet for the most part, but when they vocalize, they really vocalize loud and clear!! Howling is usually about communication with other coyotes in the area: “I am here”. High-pitched yelping seems to occur as a greeting or when pups are playing. Barking I’ve heard as complaining or a threat display when they have been chased by a dog. Huffing I’ve both seen and heard — it seems to be a lead into barking, if it goes that far. Appearance: Ravens have long shaggy feathers on their throat. Well, coyotes, too, have shaggy fur on their neck area in the early summer — the neck area is the last to shed the winter coat and it often looks like the coyote has a lion’s mane! Hunting: Ravens work together to hunt larger game, they hide food and return to it later, and they work in pairs to steal food. One bird distracts an animal while the other snatches its meal. Although coyotes hunt alone to catch small prey, they will join with others in hunting larger mammals when rodents are not plentiful. I’ve seen them hide food to return to it later. And I’ve seen them work in teams the same as ravens to intimidate dogs into leaving their area: one coyote distracts the dog while the other goes in from behind to nip. I saw a coyote swipe a rodent from another coyote. Enemies: Humans are a raven’s chief enemy, other enemies include larger birds like owls and hawks. Throughout all of history people have thought of ravens as pests — evil birds that should be destroyed. They still are considered pests because they are a threat to livestock and farmers’ fruit and grain crops. Humans are also a coyote’s chief enemy, though the wolf has been one of its chief enemies in the past — the wolf has been almost wiped out. Coyotes have been seen as pests to sheep and cattle farmers. Both Actually Help Humans: Common ravens and coyotes both help humans by eating pests, rodents and they clean up roadkill. Play: Ravens enjoy mock fighting; they swoop, dive, roll, tumble do somersaults and fly upside down. They enjoy teasing other animals like wolves and dogs by playing tag with them or pulling their tails. Young birds enjoy playing with toys, such as twigs while in flight, dropping the twig and then swooping down to catch it before it hits the ground. 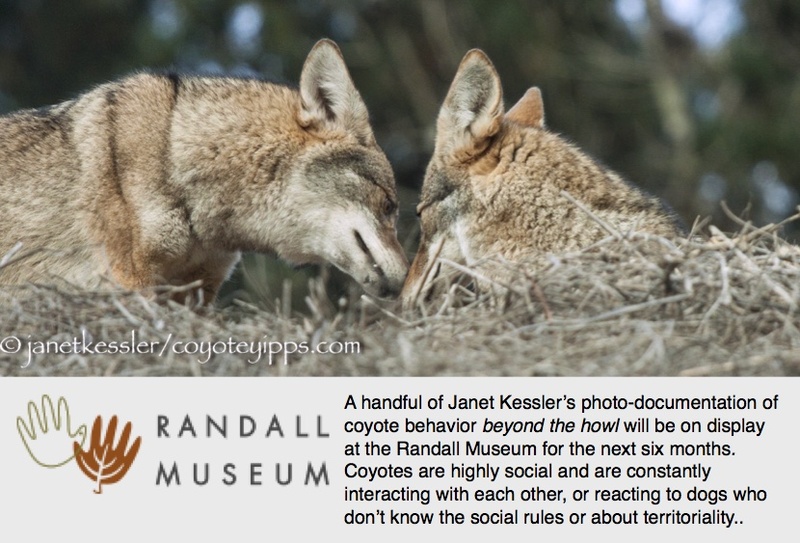 Coyotes also enjoy play fighting, tumbling and bouncing down a hillside. They enjoy playing with toys they have found, such as twig or a tennis ball left behind by a dog, tossing it up high and then catching it. I’ve seen coyotes tease a dog and, not pull its tail, but daringly mouth it before running off to a safer distance. Thriving among humans: Ravens thrive among humans, often on the edges of towns. The Common Raven has coexisted with humans for thousands of years — in some areas they are so numerous that they are considered pests. Coyotes have always lived close to farmlands, and more recently have been moving into urban areas, on the edges of towns. Both coyotes and ravens have followed humans into new territories. Food: Both Common Ravens and Coyotes are extremely versatile and opportunistic in finding sources of nutrition, feeding on carrion, insects, grains, berries, fruit, and garbage left by humans, also on grasshoppers, rodents, seeds, birds, worms, and reptiles. They are scavengers, they let other animals hunt then dine on leftovers or steal from them. Persecuted by Humans: Ravens have been heavily persecuted by man, especially in farmlands where they will eat the seed and grain. In some regions these birds have been wiped out completely. In spite of these obstacles, ravens as well as the other corvids are highly successful due to their high level of intelligence, flexibility, and adaptability. The exact same thing can be said for coyotes. Family: Relationships between individual Common Ravens are often quarrelsome, yet they demonstrate considerable devotion to their families. Hatchlings remain in the nest 4-7 weeks. Both parents take care of them. They stay with their parents for another six months after fledging. Wow, this is all true for coyotes, too, except that coyotes remain with their parents for one to three years before dispersing. All social animals have developed communication systems. Intelligence & adaptability: Both ravens and coyotes are highly individualistic, making complex decisions and showing a rich awareness — they are not just rigidly programmed by their genetics [Candice Savage]. Toys: Ravens are one of only a few species which make their own toys. They have been seen breaking off twigs to play with socially. Ravens are known to steal and cache shiny pebbles, pieces of metal, and golf balls. One theory is that they hoard shiny objects to impress other ravens. Other research indicates that juveniles are deeply curious about all new things, and that Ravens retain an attraction to bright, round objects based on the objects’ similarity to bird eggs. Mature birds lose their intense interest in the unusual. Coyotes, too, have a deep sense of curiosity. They, too break off twigs to use as social toys. And they cache precious objects, such as . . . rocks!